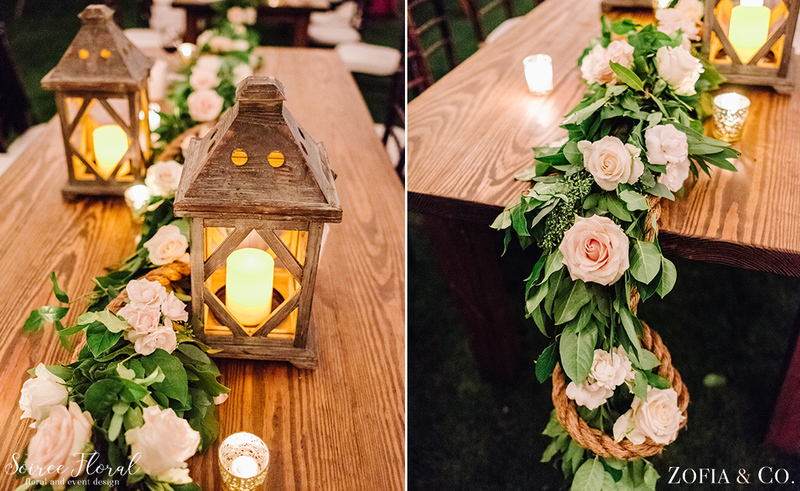 Ashlie and Steve’s rustic Nantucket wedding had a hint of “fairytale princess” to it – just look at their floral trellis! 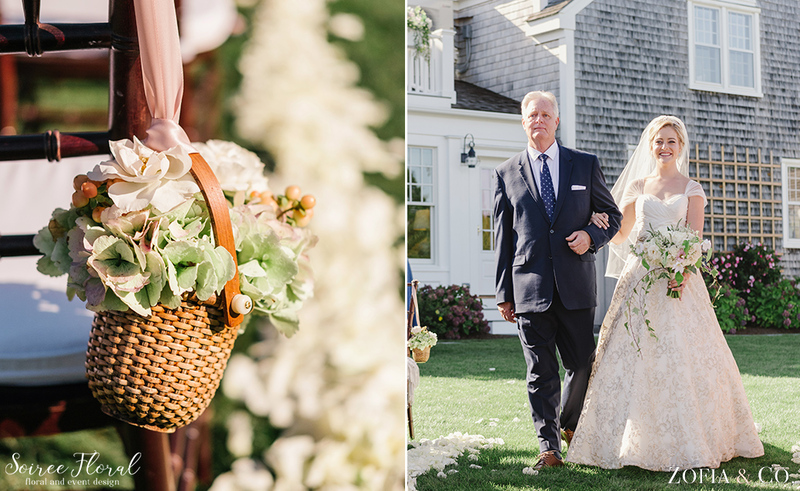 The two married at her family’s Nantucket home on a gorgeous September day. 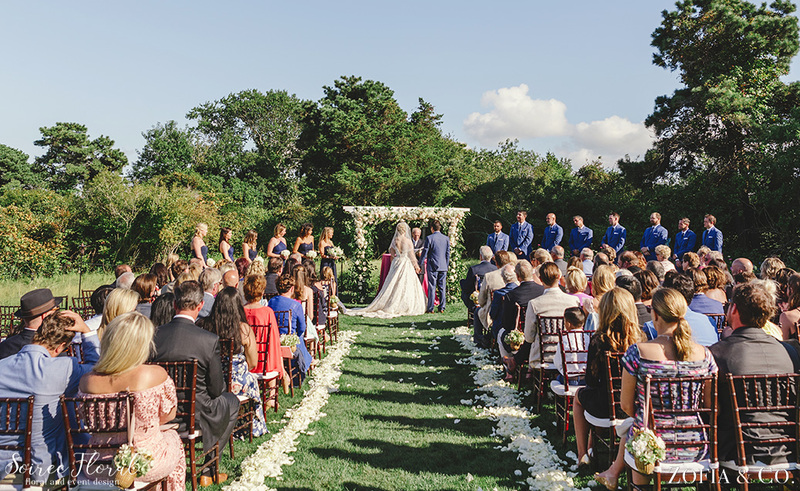 The couple resides in California, but Ashlie spent much of her childhood on Nantucket, a place that she and her family call home. 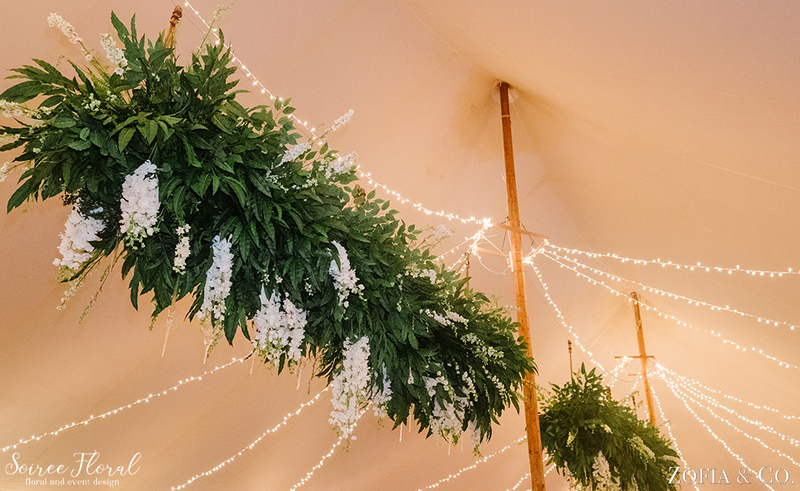 The rustic elements of this wedding shined throughout the day – with farm tables draped with lush garlands, a grass floor tent and hanging installations full of foliage. 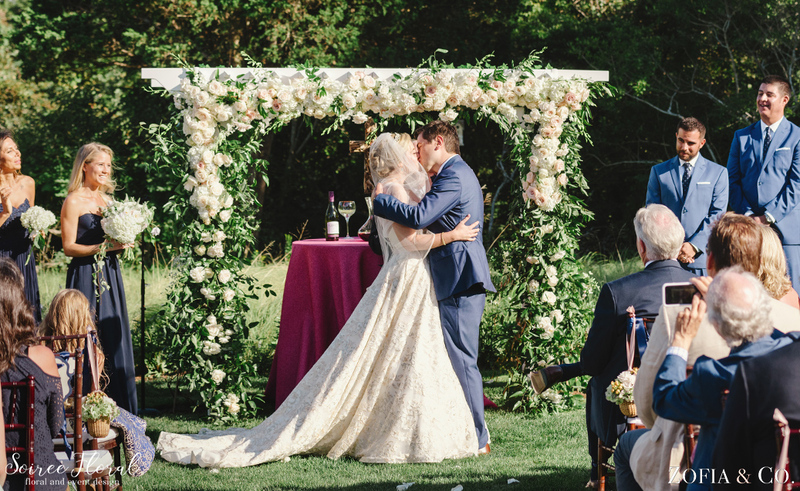 The fairytale part was blended throughout the details – the fluffy florals, her gold flecked gown, and the crystals that hung in the ceiling and on the surrounding trees. 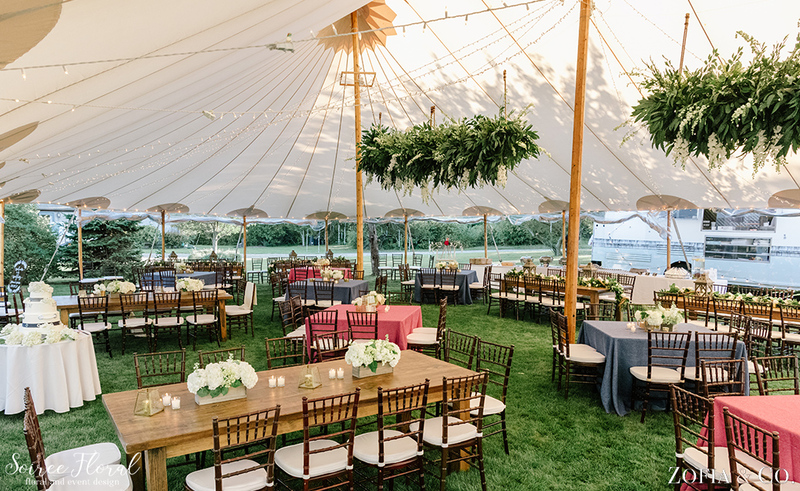 There was a little hint of nautical, too, a classic Nantucket nod, with sailor’s rope woven throughout the garlands and Nantucket red and ocean blue colored linens mixed together to create an environment that was true to the couple. Zofia & Co. captured their blissful day, Island Kitchen kept the guests full and DJ Maple Syrup kept them dancing all night long. 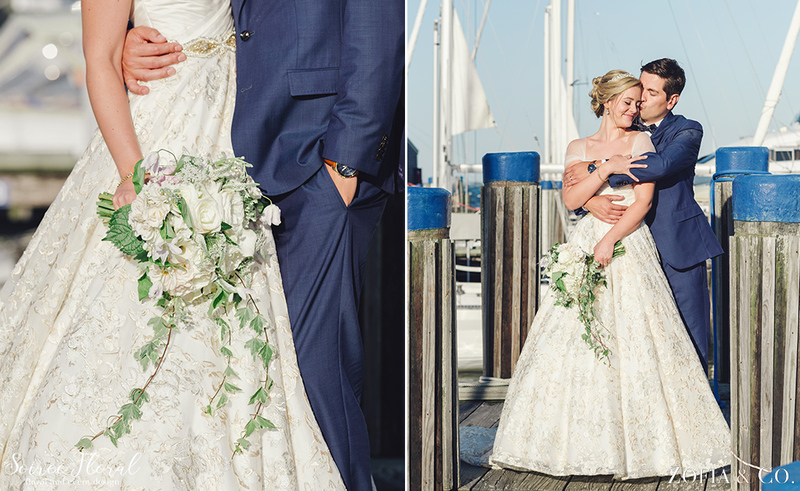 Take a peek at more imagery over on Zofia’s Blog.